Introducing Arden 15, high quality Bermuda turfgrass with excellent color, cover, density and superior early spring green-up. This highly developed seed is a two-clone intraspecific hybrid that provides a noticeably more uniform turf. 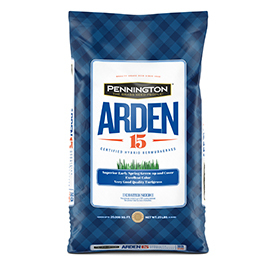 Arden 15 is replacing Princess 77 as Pennington’s main offering in the Bermudagrass segment and has an improved cold tolerance with finer leaf texture and faster grow-in versus Princess 77. These qualities make Arden 15 an ideal solution for planting in transitional markets as far north as Tulsa, Louisville and Richmond. This variety is replacing Princess 77 as Pennington’s main offering in the Bermudagrass segment.